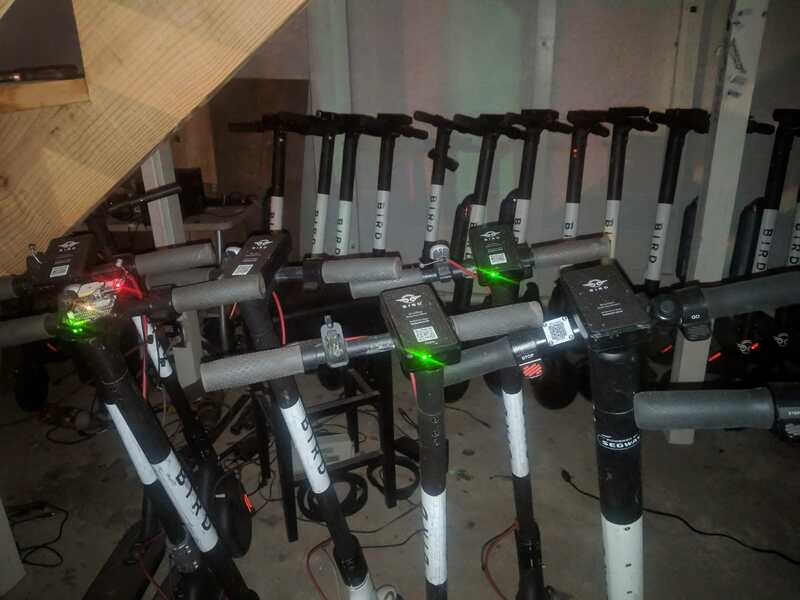 I went to a party last night, it appears a revenue stream for the owner *of the venue is recharging scooters, lol. Based on the prices I usually see on the charger side of the app, that's probably around $115-$125 sitting there. I can't blame them! Charging the things makes a lot of sense when they are already parked right outside your front door. Maybe I'm wrong, but CBD's traditionally have been the epicenters of large cities and highlighted by financial, insurance, legal, etc., businesses. 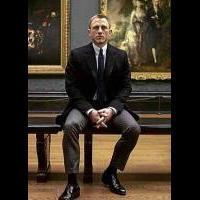 Basically, central business districts are home to white collar professional services businesses. I don't (and will never) consider Midtown, SoBro and The Gulch part of our CBD. To do so almost "cheapens" the history and continued "center of commerce" influence of our actual CBD. And it negates the need to even use the monikers "Midtown," "The Gulch" and "SoBro," which would not be helpful. And if we are going to make Nashville's CBD to include the aforementioned three districts, we would have to (to be fair and consistent) do likewise with other fast-growing mid-sized cities. And I will never consider Charlotte's South End/Dilwork and Elizabeth/Midtown district as part of Charlotte's Uptown (i.e., CBD). Do people charging the scooters also have to distribute them? seems like a lot of energy used and both by physically charging and moving them around for not that much profit. Also what dos charging that many do to ones electric bill?? Charlotte news station just ran a spot on the “Scooter Controversy.” Showed clips of people riding across the street, mid-block, weaving in and out of traffic, riding down the center line and crossing busy intersections diagonally! So sorry for you guys. Hell has come to Charlotte. TheRideShareGuy.com has a decent recap of charging Birds. A full charge on a single scooter costs about five cents in electricity and pays on average about $5, sometimes more depending on the scooter’s location. And yeah, you have to put it back out on the street by I think it’s 8am in order to get paid. WeGo could be any city anywhere-Nashville is not any city anywhere. I do love the purple and silver on white, but the diagonal purple slant wrapped at the left- and right-rear quarters of each bus is a bit "ephemeral" in style for any type of vehicle except for formula racing. 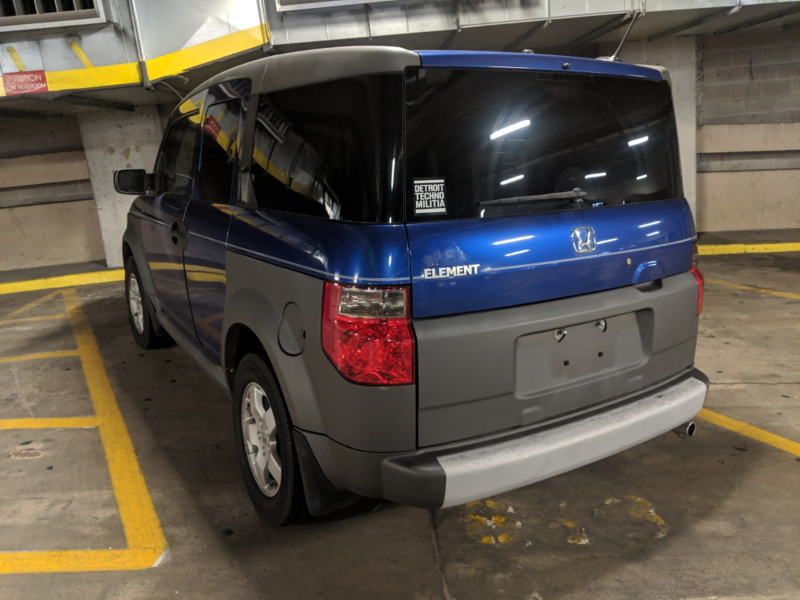 IMO they took a good thing and made it tacky-a$$, but overall I believe it to be a dramatic improvement over the unimaginative white with a modest band and stripe of blue below the window line. Frankly, I would have preferred a more rectilinear scheme better matching the lines of the vehicle elements. The generic all-white scheme was understandable in terms of reducing costs, and now the agency has begun to out-shop some of its mid-age fleet with the purple scheme. "WeGo" is a bit "Bland" (pun intended─as in "Steve Bland"), as far as moniker-rebranding is concerned, as the Wego I've been familiar with has been around almost for 15 years as an online travel search engine. (spelled as "Wego"). So as trite as "WeGo" sounds, I might have cocked my head more at the choice of something more eyebrow-raising like "BubbaZipp". 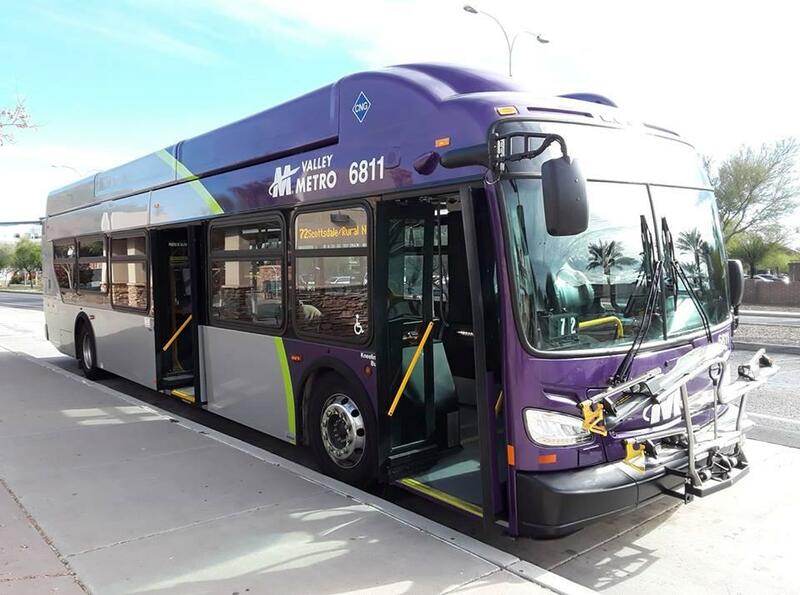 Valley Metro Regional Public Transportation Authority (RPTA) of Greater Phoenix has had a purple-based color scheme since the mid-1990s, most recently having adopted a purple-and-silver scheme with light-limish green border between the two main colors with delivery of its New Flyer and Gillig buses beginning around early 2011. Great post, Rookzie! You made me think they should just change over to WinneWeGo and make all the buses look like RVs. They could have kitchens and beds and even showers. Wouldn't that make the commuters waiting in traffic want to take the bus? So, because I shared some of this with you guys, I picked up a new-to-me car this week! My brother is wild about these things (he's owned two) so I figured I'd give it a shot. As snapped at the Main Branch Library garage. I was looking for one with a manual and AWD, but it seemed those were very much a Northern thing and have the rust to prove it. A manual transmission is more important to me than AWD, so i found this boxy blue wildebeest and grabbed her up. @e-dub, are you the only person in Music City with a DTM sticker on the back? I'm thinking I've seen your car around downtown. I know there's a blue Toyota Yaris with a Detroit Techno Militia sticker on it, but she does her best to stay out of downtown. You likely did see me, I was in the neighborhood on Tuesday as well as today. There could be a couple/few more scattered around the city, but I'd likely know who they would be and can't think of any. You likely did see me, I was in the neighborhood on Tuesday as well as today. I'll wave hello next time. 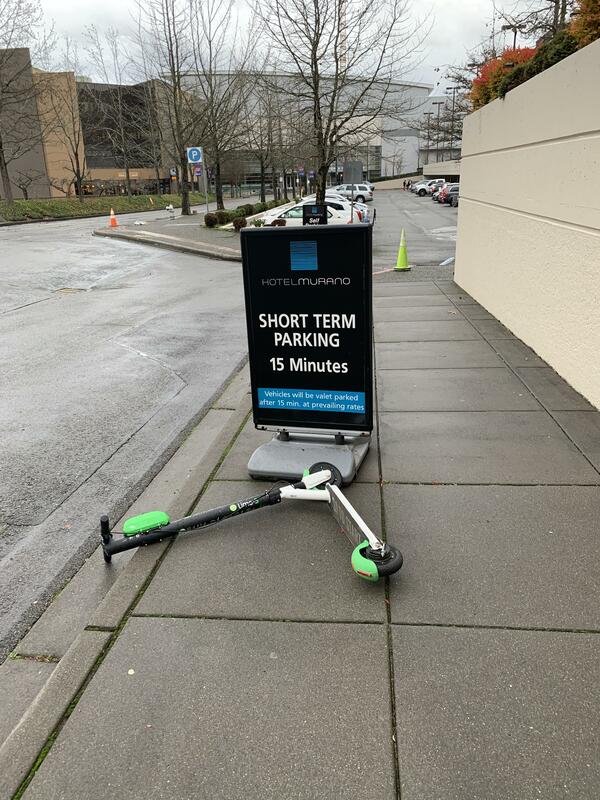 Spending the week in Tacoma Washington this week for Xmas and noticed several lime and bird scooters around town. 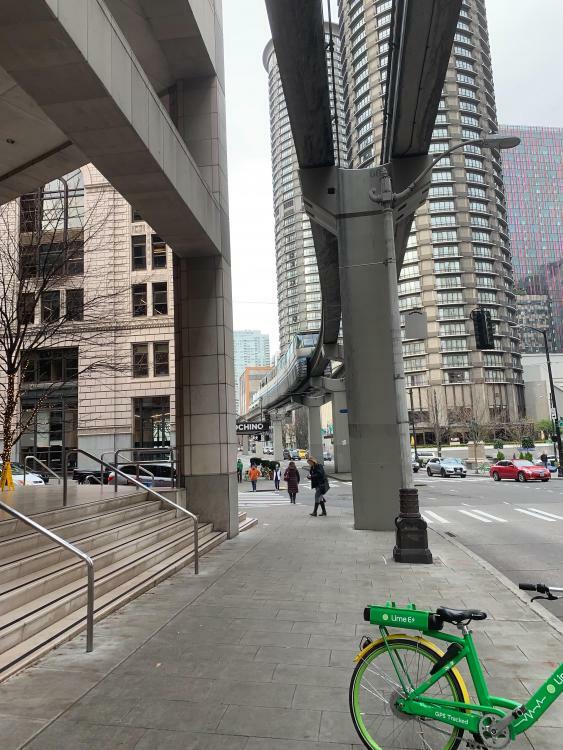 Never saw the first scooter in Seattle but saw lots of lime and jump bicycles everywhere. They also have a lot of the bicycles here in Tacoma. 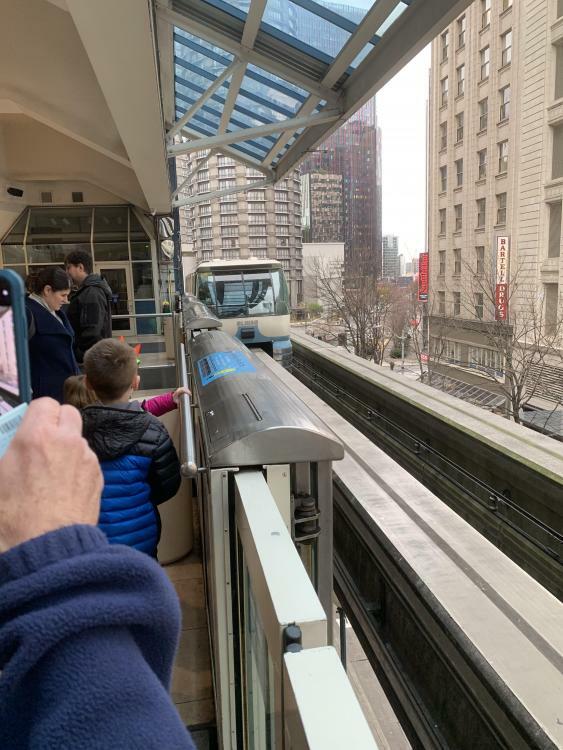 Also always enjoy the short ride on the monorail in Seattle just wish it went further. The viaduct bridge is about to close so they can finish the end connections to the new Alaska way tunnel which I believe is to take about three weeks. So I guess this is the last time I see and drive on the viaduct bridge. When it comes down it will change the way Seattle looks forever and for the better. Some of us in this thread have been aware of the curtailment of the Music City Star Friday evening service. I knew this all along, but I felt that it might have been irrelevantly technical (rather than technically irrelevant), to this topic. Positive Train Control (PTC), gives the engineer an auditory countdown to act if danger looms. If the train is headed toward a curve at too high a speed, for instance, the system will warn the engineer. If the engineer fails to take remedial action in a timely fashion, the computer takes control and stops the train. Railroads, complaining it is complicated and costly, have been slow to install the system. The federal government has repeatedly extended the deadline for railroads to have the system fully up, tested and running. The initial deadline of 2015 was first extended to the end of 2018, but that deadline, too, was extended for some railroads to 2020. A recent article in Trains Magazine, from a long-term friend of mine and from whom I had mentioned in a post last Jan. 8. 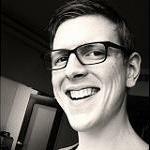 This is one reason, as I had stated in a earlier but recent post, that the transit referendum might have been presented in too bitter a "packaging", in order to be supported. This is not to say that voters would have cared less or not at all concerning a Friday-evening round trip on the MCS, but it does point out a lack of engagement by the proponents with the stakeholders, and in bundling the plan to incorporate a broader mix of more salient intentions other than with transit. NASHVILLE — Music City Star riders may miss a Friday evening ride after today — all because of positive train control. The Regional Transportation Authority’s board of directors recently announced a new Music City Star schedule recently that eliminates a Friday evening round trip between Nashville and Lebanon, Tenn. The schedule also modifies arrival and departure times for other trains. While the Star’s ridership overall grew substantially in 2018 from 2017, it was necessary to eliminate a Friday-only evening train because it would put the commuter service over the maximum 12 daily trips allowed to qualify for a PTC exemption for the Nashville & Eastern Railroad. Friday is the only day that more than 12 trips per day is exceeded. The deadline for railroads to comply with PTC laws or secure a deadline extension is Dec. 31. The final Friday evening will train is scheduled for tonight. The restrictions are in place because none of the Music City Star trains or ones on the Nashville & Eastern Railroad is equipped with PTC. Last May, Nashville voters overwhelmingly rejected a controversial referendum for a $5.2-billion transit plan that would fund future light rail projects and improvements to the Star commuter service. PTC work was reportedly included in the plan. The Music City Star began operation in 2006. The service operates over 32 miles of the Nashville & Eastern Railroad Corp. between Nashville and Lebanon during weekdays. The track is owned by the Nashville & Eastern Railroad Authority. In November, R. J. Corman Railroad Co. announced an agreement to acquire the N&E Railroad Corp., and Transit Solutions Group, the agency responsible for operating and staffing the commuter service. Corman expects to assume operations of both in January. I know this is a monetary decision because they dont have a dedicated revenue stream to fund this stuff, but I will say this anyways...... So instead of investing in a safety measure that is intended to save lives in the case of human error (very real possibility) the Nashville & Eastern Railroad would rather cut a trip out of a transit schedule to drop below the requirement. I "Feel" you, Dale, and if effect that is exactly what has happened here. In all fairness, I have to consider a tactical decision here on the part of the NERR (Nashville and Eastern) on which the RTA ops are hosted. The NERR had been up for sale for quite sometime, although it was generally undisclosed, that RJC (Rick Corman) has negotiated the purchase of the entire NERR (ex-Seaboard System, exx-Louisville & Nashville, nee-Tennessee Central), including the Northwest portion named the Nashville and Western (NWR - ex-Nashville & Ashland City, exx-Illinois Central/Illinois Central Gulf, nee-Tennessee Central), to be effective at the start of 2019. The timing seems a bit "off" to have forged for implementing PTC by the current deadline, without filing for an extension, yet PTC had been under consideration even since 2008, if not earlier. With the MCS future having been teetering on uncertainty almost since inception, until more recent years, one primary mandate for PTC is to protect passenger operations, although of course not exclusively. Such a massive expenditure would have to be shared by both the RTA and the hosting railroad, which the RTA does not own. Currently, the R.J. Corman Group owns a number of shortlines within the Eastern US, including the former Memphis Line from Bowlng Green KY through Russellville and Guthrie [KY], and Clarksville─along the former CSX (L&N). Therefore, this really comes as no surprise, and actually might have been the only logistical decision that could have been undertaken at this point in time. Otherwise the MCS operations might have to cease and desist as we know it. Consequently, that would lead to even more complications, such as the stipulated partial return of some FTA (Federal Transit Admin) grant funds designated for the initial physical improvements required for track and equipment, and the portion(s) allowed to be applied to its operation. That would be a "compounded" can of worms. While the curtailment of service does not constitute safer operation in lieu of PTC, it does spare the service as a whole, which has been marginal at best, without the Friday-evening RT. It is a bittersweet move, nonetheless. It is interesting to note that the RJC Group also has a division which has been contracted with the larger (Class-I) railroads to install PTC signaling. In the case of the Nashville RTA, the RJCorman would be in the best position with expertise and facility to install PTC on one of its own properties, right here in Middle Tennessee. Please make it stop. Uber now to bring scooters to Nashville. More companies waiting in the wings. I'm all for more. From my house right now, I could walk to 2 different limes and one Bird. 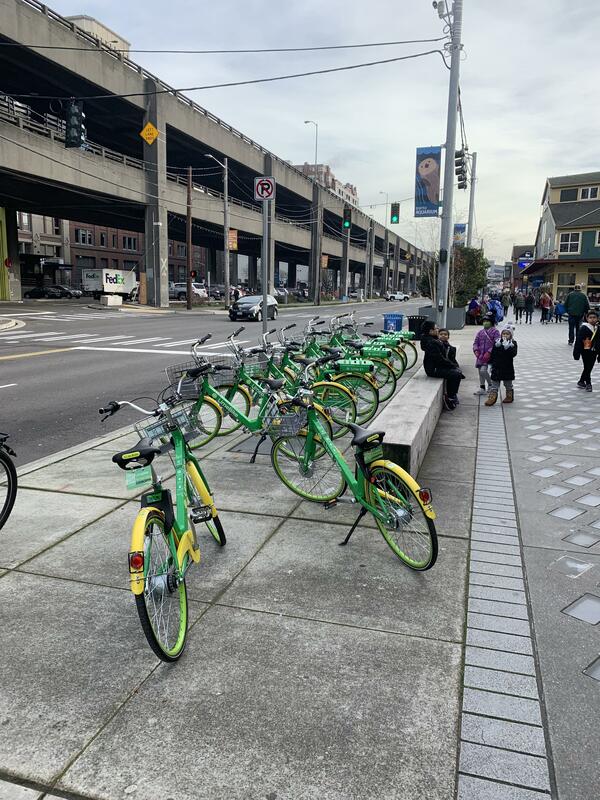 If the council keeps approving them, perhaps they are starting to see the ways of different forms of transportation and will get on the bike lane binge. Edit: I'm for more, because before when it was just Bird they were never in my neighborhood to make a trip from my house to somewhere, only from somewhere to my house. They all need to be thrown in the scrap yard.